A fascinating chapter in theatre history comes to life in Jeffrey Hatcher’s Compleat Female Stage Beauty as we witness the moment when women take to the stage in 1661 Restoration England after a period where all female parts had been only played by men. Inspired by actual events and people, the story quickly unfolds as the most crowd-popular, male-to-female actor, Edward Kynaston, suddenly finds that a last-minute substitution by a rival theatre of one Margaret Hughes as Desdemona has erupted into wild excitement and the promise of future, sold-out audiences. As the tide quickly shifts in the eyes of theatre-enthusiast King Charles II concerning the ban against women on stage, Kynaston is particularly distraught since Desdemona is the part he too is currently playing and since this Mrs. Hughes has based her every move and gesture on him, her secret mentor. This transition in theatre history brings turbulence and tragedy to those like Kynaston whose stars fall overnight; and we follow both his fall and his eventual resurrection as the play progresses. As staged by New Conservatory Theatre Center, our history lesson, complete with several plays within the play sequences, begins a bit rocky in Act 1 but finds its legs and appeal in Act 2. 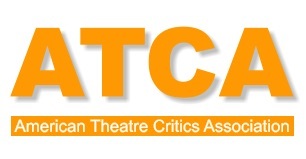 Act 1 is largely populated by stock characters that, probably by design and direction, use wild gestures, foppish movements and voices, and other techniques often more akin to the corniest of slapstick comedy. But the effects are so over done that the reception by the audience tended to be polite at best on Opening Night. It becomes a bit weary to watch repeated sequences of Desdemona being smothered as she jerkily raises over and again (and again) arms, legs, and body into the sky and then crashes onto her bed. Likewise, having one or two 17th-century fops on the stage can be lots of fun, but this stage feels too crowded with fops who are so clownish to be less funny and more irritating. By the time we get to tragic parts of the transition story where enemies of Kynaston conspire to bring him to both stage and physical ruin, the power of the moment loses some of its punch due to our being numbed by the exaggerated acting leading up to the crucial crisis and turning of events. But in the Second Act, four actors step forward to shine and bring this story depth and more lasting meaning. While earlier he too over-did a bit of his female gesturing and portrayal, Stephen McFarland as the broken and almost crippled Edward Kynaston in Act 2 is superb in his twisted, emaciated appearance of the wounded (in body and spirit) actor. He takes us to the brink of demise with achingly slow movements, a hollow face with eyes lost in pain and regret, and a voice that is half whimper, half dead. To guide him through his valley of despair to redemption are three women who have gained their own strength, resolve, and maturity during Intermission. Nell Gwynn (Ali Haas) is one of those stock characters on steroids in Act 1 but becomes a powerful force of the story’s movement and Kynaston’s salvation in Act 2. Ms. Haas shifts appropriately her mannerisms from a King’s not-too-smart whore to a woman of strength, resolve, and heart. As Mrs. Hughes, Elissa Beth Stebbins lets us watch the amazing but believable metamorphosis from a silly-acting, unsure neophyte into a more refrained and refined actress – all under the direction and tutelage of her still-mentor, Kynaston. And throughout, perhaps the performance of the night belongs to Sam Jackson as Maria, Kynaston’s devoted maid and herself a would-be actress. Amidst much other drama-gone-wild, Ms. Jackson takes a more reserved, skillfully nuanced approach to Maria throughout the play, transferring a secondary role into one that is noticed and appreciated in her crucial, but shadow role in the story. What works least well in this 17th Century setting is the choice made for scenic design (Giulio Cesare Perrone). Three movable, box-like props that become bed, chair, stage or whatever in their various combinations populate the mostly bare stage. The issue is that they look like what one might find in a modern rehearsal hall. The early 1660s England would come to mind better with other, still simple, but more suggestive entrapments of the time for the theatres (which were largely barren as they recovered from Cromwell’s ban on live performance). On the other hand, the costumes of Keri Fitch are very period specific, fun, and appropriately wonderful. While for me this production of Compleat Female Stage Beauty has a few blemishes, the significance of the story in theatre history, the always-wonderful effects of a play within a play, and the Second Act performances of the key protagonists make this production one worth seeing. 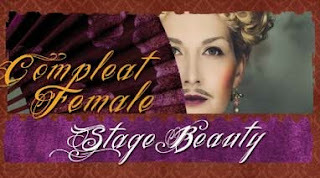 Compleat Female Stage Beauty continues in the Decker Theatre, New Conservatory Theatre Center, 25 Van Ness Avenue, San Francisco through June 14, 2015. These articles and blogs are certainly sufficient for me personally for a day, sun damaged skin appreciate your work. Earn FREE satoshis over at DailyFreeBits. 100 to 1,000 satoshis per 60 mins. "Oh No There's Men On The Land"
"The Grand Duke, or The Statutory Duel"